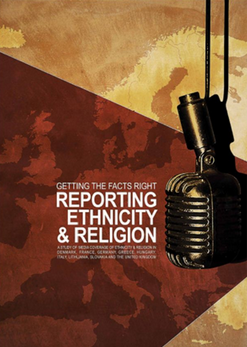 The objective of the workshop was to encourage journalists to see their society the way it is – diverse/multicultural/pluralistic, to help journalists develop their professional skills to better represent diversity in society through fair, well-researched and sympathetic coverage and to produce stories which would reflect the principles of responsible and inclusive journalism. The Trainers, Milica Pesic, of MDI and Grigory Shvedov, founder and Chief Editor or the Caucasus Knot, specialised in North Caucasus, helped 16 young reporters from different media platforms and journalism students understand and apply the principles of responsible journalism as related to the regional diversity. The training which combined presentation of MDI media monitoring of the regional media, practical exercises and the practical work was one in the series MDI and RUJ are holding across the Northern Caucasus. Following the workshops, the participants are expected to produce at least three stories each. All articles will be available on MDI and RUJ websites, published in the mainstream media in Russia, and – the best among them – in the Caucasus Knot. The workshops and the monitoring are part of the joint project of MDI and RUJ, “Fighting discrimination in Russia through tolerant and inclusive reporting”. The project is being implemented in four Russian regions: Dagestan, Stavropol, Saratov and Sverdlovsk. The Media Diversity Institute (MDI) work is supported by the Foreign and Commonwealth Office.